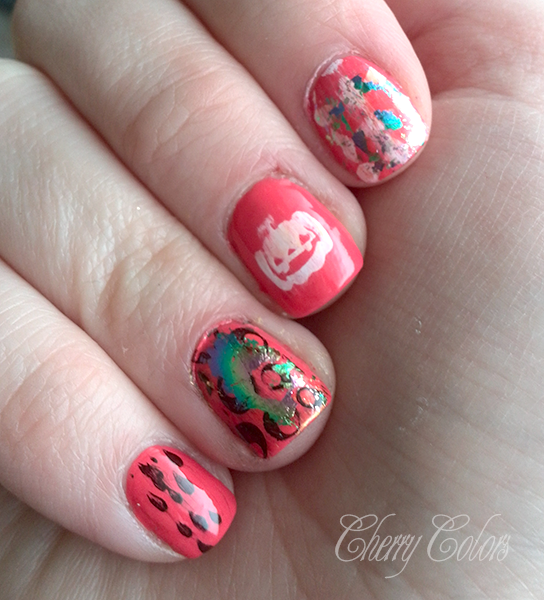 NOTD: Carnival/Halloween manicure - Cherry Colors - Cosmetics Heaven! I will be very quick and post the manicure I was having on Halloween and I am sure will come handy for Pust (the carnival here). 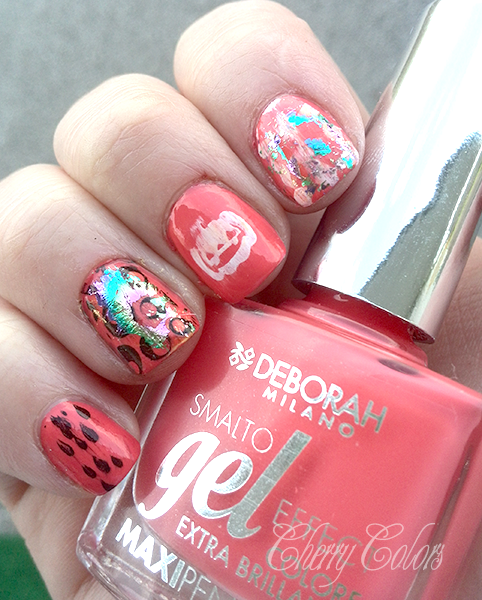 I did enjoy it and I used this Deborah "gel" polish and Essence foil with some stamping plates (one is by Essence the other, IDK). I only wish my clean - up was better. But that's what you get when you don't own (anymore blah) a brush for cleansing.